An initiative that seeks to work through different yet interrelated programs with a view to providing employment and entrepreneurial opportunities to the poor. The objective of this initiative is to build economic capacity among millions of young people in Nigeria who have little or no skills. These vulnerable and underprivileged young people who get frustrated due to poverty, lack of education and marketable skills, desire a better life, but faced with little opportunity for it often resort to armed robbery, hooliganism and sexual exploitation. From vocational and skills training, to financial empowerment through micro-lending, Freedom Empowerment’s Holdings intends to target different aspects of the problem of unemployment the un(der)skilled and entrepreneurial poor. 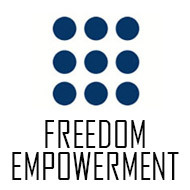 Since inception, Freedom Foundation’s empowerment programs have provided career skills training, business and entrepreneurial development training, vocational skills training, counselling and mentoring, as well as post-training follow-up to young men and women, thus ensuring long term solutions to the challenges of poverty, unemployment, lack of marketable skills and illiteracy. Types of skills include hospitality training, bead making, plumbing, welding, catering, fashion designs and computer training. Our programs are dynamic usually delivered in lectures and even practical hands-on workshops. Follow the link below to see our gallery of Freedom in Action.